Regardless of whether you are looking for holiday glitz and glamour or yearn for solitude in the middle of the desert, you will find what you are looking for in Nevada. The state offers one of the most diverse collections of attractions, which range from breathtakingly beautiful desert landscape in a handful of must-see national parks to the cosmopolitan delights of high-end shopping, dining, and gaming in cities like Las Vegas and Reno. “Fabulous,” “Kitsch,” “O.T.T.” – call it what you will, Las Vegas is like no other place on earth. To embrace the vibe you can take a stroll down the Strip, Las Vegas’ main street, which is home to many of the most extravagant resorts. Stop at the Bellagio to watch the famous 1,200 dancing fountains, go for a gondola ride at the Venetian, or eat pastries alongside the Eifel Tower at Paris, Las Vegas. 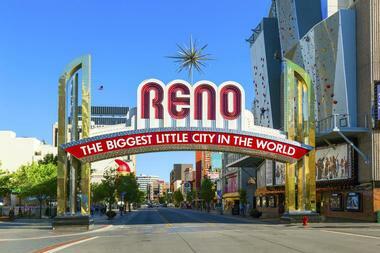 Reno is the largest city in Northern Nevada, offering an excellent mix of gaming, cultural, outdoor, and fun attractions for all ages and tastes. You can enjoy all the outdoor activities of Lake Tahoe or experience the largest concentration of ski facilities within just 50 miles of the city or spend your time immersed in the vibrant arts and cultural scene, which includes visiting Sierra Arts and the Nevada Museum of Art, watching a musical or Broadway show at the Pioneer Center for the Performing Arts, or listening to the Reno Philharmonic Orchestra. Red Rock Canyon is situated just 17 miles from the famous Las Vegas Strip and offers visitors the chance to swop the glitz, glamour, and gaming of Las Vegas for a wonderful back-to-nature experience in the heart of the Mojave Desert surrounded by unique geological features. At the Visitor’s Center, you can get trail maps and see interesting interpretive displays, and children can enroll in a Junior Explorer Program. You can tour the area by car along a 13-mile scenic drive or set off to explore miles and miles of trails on foot, or by cycle or mountain bike. Equestrians can admire the scenery by horseback, and adventurous visitors can try some rock climbing. Camping enthusiasts might want to spend a night in a tent or RV at the campground to enjoy great desert stargazing. As befits the capital of Nevada State, Carson City offers visitors a good selection of historic, cultural, and outdoor attractions to suit all tastes. 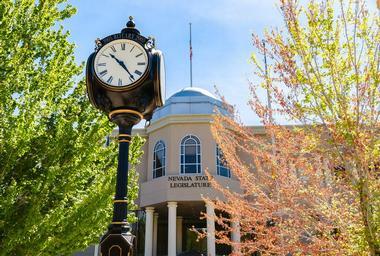 History buffs can start by touring the Nevada State Capitol Building and the Nevada State Museum before visiting the Nevada State Railroad Museum and taking a pleasant ride on the V & T Railway to Virginia City. You can also explore the Historic West Side on foot or by bike along the Blue Line Trail. Art enthusiasts will enjoy the galleries and performing arts venues at the Brewery Arts Center and have some fun at the Artsy Fartsy Gallery in Downtown, which features local artists. 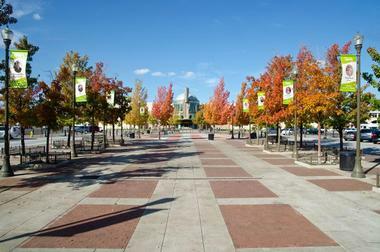 For a break from arts and culture you can go hiking and biking along several trails or go shopping along Curry Street. The City of Henderson makes an ideal southern Nevada base for visitors who would like to tour some of Nevada’s greatest attractions, including the glittering Las Vegas Strip, the imposing Hoover Dam, and lovely Lake Mead. You can visit historic buildings and learn about the evolution of the area at the Clark County Heritage Museum and take the children to see the Discovery Children’s Museum and the Ethel M. Chocolate Factory. Boulder City is located just 20 miles from Las Vegas and minutes from the Hoover Dam, making it the perfect destination for a day or two away from the hustle and bustle of the Strip. Boulder City is full of quaint small-town charm that you can discover on a stroll down historic Main Street, which is lined with unusual boutiques. There is no lack of activities to try in Boulder City – you can start by renting a bike at All Mountain Cyclery and setting off to explore miles of trails. If you are more adventurous, you can try a terrifying zip-line adventure with Flightlinez Bootleg Canyon, take to the air with Las Vegas Glider Rides, or play it safe on a historic rail excursion from the Nevada Southern Railway Museum. Sparks is situated in Northern Nevada close to the city of Reno, and it is just one hour by road from wonderful Lake Tahoe. The city has a high-desert climate and boasts sunshine for more than 80% of the year, which is great news for outdoor enthusiasts. You can join in a large variety of water sports centered on the Sparks Marina where you can go swimming, boating, fishing, canoeing and kayaking, or head to Rock Park on the Truckee River for some exciting white-water rafting. You can learn about the mining, ranching, and railroading history of the region by touring the Sparks Museum and Cultural Center or attending one of the many annual events the town hosts. 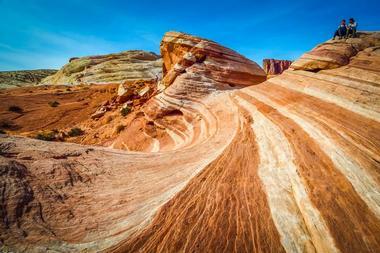 The amazing red sandstone rock formations of the Valley of Fire State Park have been attracting visitors to Nevada’s oldest and largest State Park since 1935. 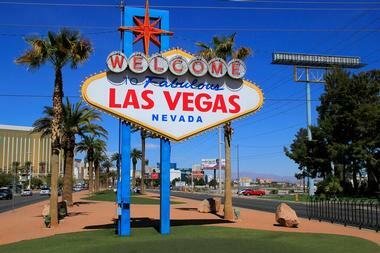 The park is situated close to Lake Mead and the Hoover Dam, which makes it ideal for a day-trip from Las Vegas. At the Visitor’s Center, you can learn how the amazing landscape took shape over 150 million years ago when dinosaurs roamed the desert. 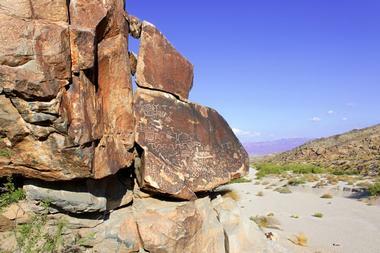 There are several very interesting hiking trails that will lead you to ancient Indian petroglyphs and petrified forests. If you would like to spend a night under the desert skies you can pitch a tent or park your RV at one of two serviced campgrounds, or you could just bring a picnic and come for the day. Mount Charleston is located 35 miles north-west of Las Vegas in the Spring Mountains National Recreation Area, and although you can reach the area in just 30 minutes from the Las Vegas Strip, you will feel as though you have stepped into another world. To begin with, the altitude at the top of the mountain ensures much cooler temperatures, (often up to 20 degrees cooler), and in winter you can go skiing in the morning and then return to Las Vegas to swim in the afternoon. You can explore on foot along some of the many excellent hiking trails in summer and go sledding and skiing in winter – lessons are available. Other activities you could try include wildlife viewing, mountain biking, camping, and picnicking. 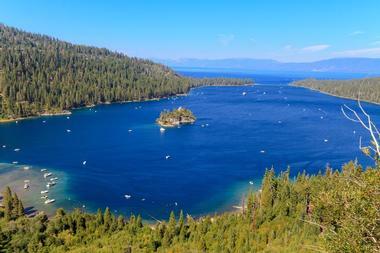 Situated three miles south of Incline Village along the picturesque shores of Lake Tahoe, Sand Harbor offers visitors a 55-acre playground composed of long white beaches, shaded forest areas, inlets, coves, and superb lake views. You can find all the resources you need for a great day out at the Visitor’s Center, which also has a snack bar. Although the main emphasis at Sand Harbor is on boating, jet-skiing, swimming, and other water sports, there are also a couple of nature trails for hiking. The crystal-clear waters and interesting rock formations make the harbor a popular spot for scuba diving and swimming. 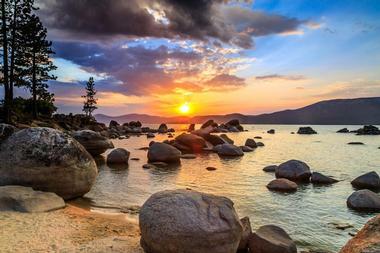 If you visit in summer, you can catch a performance at the Lake Tahoe Shakespeare Festival. The Mike O’Callaghan-Pat Tillman Memorial Bridge (aka Hoover Dam Bridge) is something of a miracle of modern engineering and a must-see attraction for anyone visiting the area. It is hard to avoid superlatives when describing this bridge completed in 2010 to relieve the traffic congestion along US 93, which used to carry all traffic between Arizona and Nevada over the wall of the Hoover Dam. 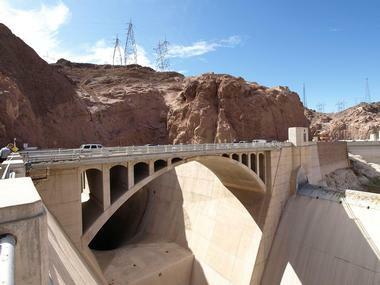 The best way to get an overview of the bridge, the Hoover Dam Wall, and the Colorado River is to take a helicopter tour over the area, but it is also possible to safely walk along the bridge’s pedestrian walkway, which offers sweeping views out over the dam and the Mojave Desert. 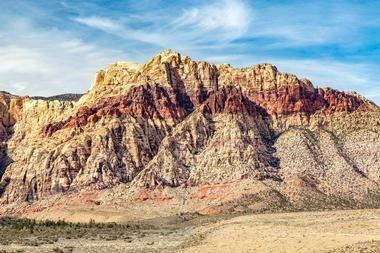 Great Basin National Park is situated in eastern Nevada close to the Utah border. The park contains a surprising diversity of ecosystems, interesting caves and rock art, and excellent opportunities for hiking and exploring nature. There are two Visitor’s Centers where you can see some exhibits, pick up maps, and discuss your visit with a ranger – children can sign up for the Junior Ranger Program to keep them busy during your visit. You can join a ranger-led tour of the Lehman Caves or spend your days hiking and picnicking against the beautiful desert backdrop. Camping under the stars is a highlight of the park – Great Basin offers some of the best stargazing in the state. 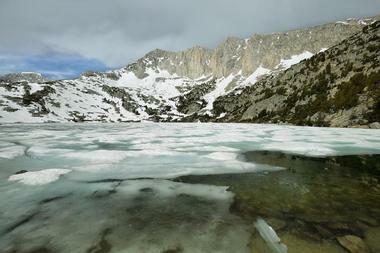 Other activities include fishing on Lehman or Baker Creek or climbing to the top of Wheeler Peak (14,063 ft). Lake Mead NRA is an enormous desert playground for outdoor enthusiasts and nature lovers. 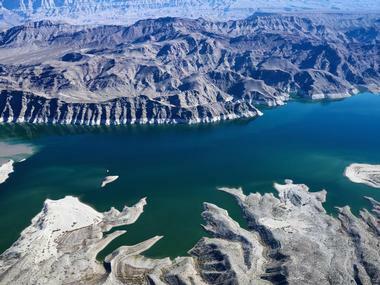 Surrounded by a stunning landscape comprised of towering mountains, cacti-filled desert basins, and vertical-wall canyons, visitors can enjoy an endless variety of water activities on Lake Mead and Lake Mojave, go for scenic drives or hikes, or enjoy horseback riding, wildlife watching, camping, or picnicking. You can spend your days canoeing, kayaking, waterskiing, wake-boarding, scuba-diving, or fishing on the tranquil lakes, and you can even explore the scenic wilderness by houseboat. You can take a trip down the Black Canyon Water Trail on a guided kayaking expedition or choose a thrilling Black Canyon Raft Tour. 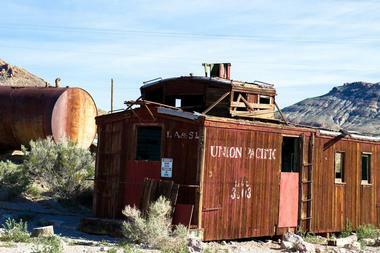 Nearby attractions include the Hoover Dam and the Clark Country Heritage Museum. Outdoor enthusiasts who want to leave civilization behind them and walk the path less travelled will be delighted to find Spooner Backcountry, a widespread recreational area that forms part of the Lake Tahoe Nevada State Park. Here you can lose yourself in over 12,000 acres of forested open space where vehicles are off-limits and hiking, mountain biking, and horseback riding rule. There are several scenic (and usually very quiet) trails to follow, including the Tahoe Rim Trail that traverses the crest of the Carson Range. 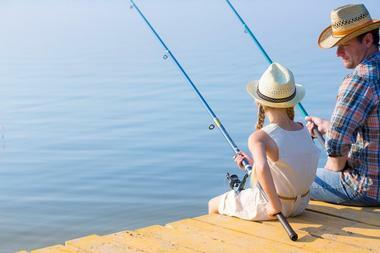 At the center of the wilderness lies Spooner Lake where you can picnic or try some catch-and-release fishing. 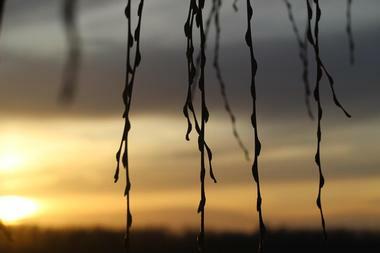 You can stay at one of the rental cabins or enjoy primitive back-country camping. The Gold Strike Canyon Hot Springs Trail is situated in the Lake Mead Recreational Area close to the Hoover Dam and the Las Vegas Strip. The trail is one of the most popular hiking trails in the area, and energetic hikers are rewarded with the chance to take a dip in the natural hot springs at the summit of the trail. It is a fairly strenuous hike, and you will have to do some bouldering and climbing – there are ropes in several steep areas. It will take you around three hours to reach the Hot Springs and another 30 minutes to reach the Colorado River. The trail is closed from May to September due to dangerously high temperatures. The Ruby Mountains are a striking 80-mile range of mountains in northern Nevada that offer a wide range of recreational activities for outdoor enthusiasts. 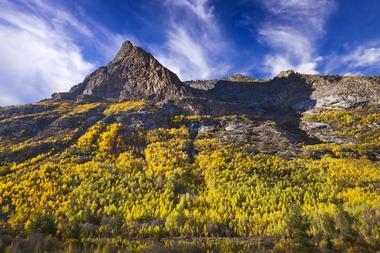 Visiting the Ruby Mountains demands a fair degree of dedication, as the area is remote and paved road access is limited. At the heart of the mountains you will find the u-shaped Lamoille Canyon, the access point to the 12-mile Roads End hiking trail that forms the northern trailhead for the 42-mile Ruby Crest Trail, which hugs the crest of the central Ruby Mountains. You can enjoy excellent wildlife watching along the way, and parts of the trail are suitable for horseback riding. You can also try mountain biking, 4-Wheeling, and snowmobiling outside the wilderness area. Located in the heart of the spectacular Ruby Mountains Wilderness in northern Nevada, the U-shaped Lamoille Canyon contains towering peaks, hanging valleys, and year-round snowfields, all begging to be explored. This remote and wildlife-rich canyon can be explored on foot along several day-hiking trails, or you can really delve deep and opt for backcountry backpacking. Along the way, you can take a break to admire spectacular seasonal wildflowers and do some fishing in the numerous streams and lakes. Visitors with limited mobility need not lose out – you can drive the Lamoille Canyon Scenic Byway that meanders along the base of Ruby Dome before climbing to 8,800 feet through the glacier-carved canyon. There is no denying that the Mojave Desert is hauntingly beautiful in its own right, but after a few days of exploring the desert scenery, you may be ready to swop the red-sand stone formations for a lush green park. The Floyd Lamb Park is just 20 miles from the Las Vegas Strip and sprawls out around Tule Springs, which were once an important oasis watering hole for Indian tribes. Today, you can expect to find a large grassy park with four stocked ponds where you can fish, scenic paths to meander along, and picnic and barbecue areas. While you are there, you can visit Tule Springs Ranch to see some brilliant fossil remains of extinct mammoths, bison, and more, dating back to the Pleistocene era. You can find the Cathedral Gorge State Park in central/eastern Nevada, where the park protects and showcases a 1,608-acre narrow valley composed of erosion-carved caves and cathedral-like rocky spires. The park is ideal for a family camping holiday, and you can bring along a tent or RV and spend a few days hiking along a good variety of trails through the intriguing landscape. You can get an overview of the area by visiting the Visitor’s Center at the park entrance where you will see interpretive displays and pick up information on all the eastern Nevada State Parks. One of the most popular hiking trails will lead you up to Millers Point, which offers excellent views of the canyon. 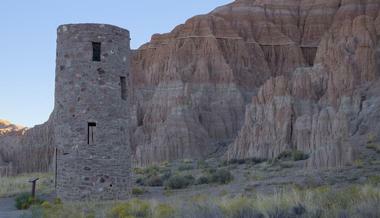 Whether you are driving between Las Vegas and Reno or simply looking for something a little different, Tonopah is the ideal spot to break your journey and step back in time in Nevada’s Silver Trails Territory. 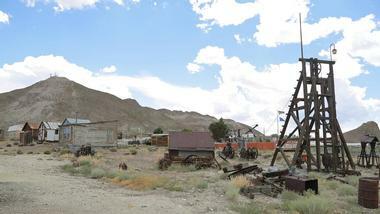 You can tour the Tonopah Historic Mining Park where you have the opportunity to see restored and reconstructed mining equipment, join an underground tour, watch a video, or take a self-guided walking tour. At the Central Nevada Museum, you can learn even more about the town’s history before you set off to try some of the forty-one nearby hiking trails. Back in town, you can visit a local brewery, enjoy a great meal, and then settle down for some serious stargazing – Tonopah is famous as one of America’s best stargazing destinations. Situated in the Lake Mead National Recreational Area near Las Vegas, the Grapevine Canyon lies to the south of Spirit Mountain, the highest point in the Newberry Mountains. The scenic canyon has beckoned visitors for centuries mainly due to the fresh-water spring that rises from the canyon floor and nurtures wild grapevines and a variety of animals and plants. In addition, there are some easily accessible 1000-year old petroglyphs and some seasonal waterfalls. To see these desert marvels, you will need to hike the Grapevine Canyon Trail, which is a 3.6-mile loop trail considered to be moderately difficult (but extremely dangerous during the hot summer months when the trail is closed). Take plenty of water and enjoy some of the most unique desert landscape in the land. The two brilliantly colored geothermal geysers on the Fly Geyser Ranch are one of the weirdest phenomenons you are likely to see as you make your way along State Route 34 north of the town of Gerlach in the Black Rock Desert, Nevada. The first geyser was formed around one hundred years ago when pioneers attempted to change the face of the desert by drilling for water to grow crops. They did strike water, but in the form of a super-hot 200° geothermal spring, which was totally useless for their purposes and was abandoned. 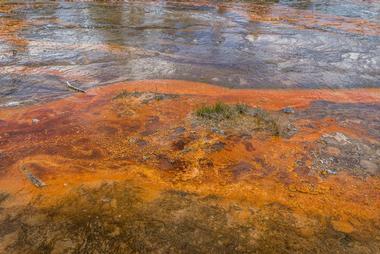 A later borehole once again struck hot water, and over years the brilliantly colored calcium carbonate cones formed. The geysers are situated on private land belonging to the Burning Man Project and may currently only be viewed from the road. You can find Rhyolite Ghost Town 35 miles from the Furnace Creek Visitor’s Center just outside the Death Valley National Park in Nevada. The town was once quite extensive and owes its existence to the discovery of rich gold-bearing ore back in 1904. For a brief six to seven years, (until the mine was depleted), the town thrived, and prospectors flocked to the area from near and far. Today, you can take a stroll around the town’s surviving buildings to get a idea of how the early miners and their families lived – the town boasted a three-storey bank building (some of which is still standing), a stock-exchange, two large schools, forty-five saloons, an opera house, and two railway depots. 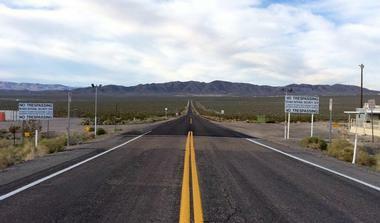 Area 51 is a famous United States Air Force Facility near Groom Lake in the southern Nevada Desert. Area 51 has always been cloaked in secrecy and intrigue, a factor that has only fanned the flames of curiosity as to the goings-on inside the mysterious facility. If you are an aircraft or UFO enthusiast or are simply curious to see what all the fuss is about, you should take a drive along the famous Extraterrestrial Highway, a portion of State Route 375 that features some amusing “alien-related” road signs. If you want to catch a glimpse of the top-secret facility (which is protected by restricted special-use airspace), you need to hike to the top of Tikaboo Peak, 26 miles from Area 51, which is the closest legal viewpoint.